The story behind The Dukes of Hazzard T.V. series is not a tale of behind-the-scenes wranglings and personal differences (although they unquestionably intruded on several occasions), but is instead one of those classic examples of a ‘good idea’ achieving great success without the proper understanding (by those with real influence) of exactly what that ‘good idea’ was. In 1979,the Writer and Director Gy Waldron was approached by CBS Television and asked to develop the idea behind his earlier film, Moonrunners, for a TV Series. Waldron had the idea of having a family of good honest country folk battling the corruption of the law and the representatives of the crooked local authority. It was, in short, the tale of Robin Hood transposed to the American South. 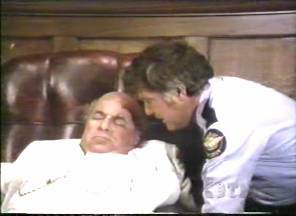 Essentially,Bo and Luke Duke represented a sort of ‘split-in-two’ Robin Hood; Daisy was Maid Marion ;Uncle Jessie, Friar Tuck; Cooter,Will Scarlett; Sheriff Roscoe Coltrane, the Sheriff of Nottingham; and Boss Hogg, Prince John. Instead of bravely riding around on horseback, they would drive cars; and their constant aim in life was to prevent the ‘enemy’ (Boss Hogg) robbing from the poor in order to give to himself. Like Robin Hood, Bo and Luke were not whiter-than-white themselves, but understood perfectly the differences between ‘right’ and ‘wrong’. They were also (and this is extremely telling) experts in the use of Bows and arrows. In retrospect, of course, it’s easy to understand why such a concept would become a success (not just in the U.S. but across the world),but it must be said that it took some time for the concept to be ironed out. Despite being given the Green Light, the series was somewhat rushed into production as a mid-season replacement for The Incredible Hulk, and the first Season has to be viewed very much as a shakedown phase. In many instances throughout the first season, you can clearly sense errors being perpetrated and corrections subsequently made. 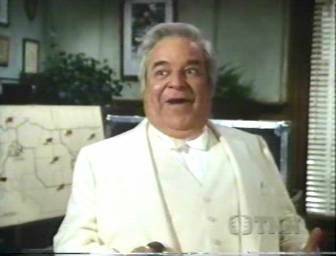 The character of Boss Hogg, for example, was altered throughout Season One from a corrupt and somewhat sinister politician to a hissable but comic Rogue. The character of Roscoe was transformed similarly, but to an even greater comical degree. By the end of that first season, all the elements were in place for a series of longevity, and with distinct family appeal. Warner Brothers seemed singularly unable to appreciate those elements that made the show such a success, and their response toward it over the resultant six years is fascinating. What failings there are in the second Season are more to do with the absence of several lead characters (due to personal disputes) rather than production errors; and indeed, when Season Two episodes work, they work extremely well. It is with Season Three, however, that the series really hit a high. The cast were happy, the crew were happy, and so were the scriptwriters. There is barely a weak episode in the whole of that season, and the strength of storytelling is fascinating and impressive.From the opening episode, ”Carnival of thrills”(where Bo is separated from his family by a pair of dubious stunt show promoters, in order to perform an automotive feat that has proved potentially lethal in previous performances)to the closing instalment “The Canterbury Crock” (various people are on the hunt for an ancient vase once owned by Cleopatra),via a range of impressive character shows (Roscoe gets the sack; Boss has a fatal illness; Bo suffers amnesia and believes himself to be Boss’ son) the series went from strength to strength and became arguably the world’s most popular TV show. However, the major blunder (which was to lead to it’s ultimate demise) was Warner Brothers reluctance to build on the success of the formula that had been established. With the solid characters and situations now well established and providing a firm base, what the producers should have done was increasingly develop the show in directions that could have attracted new viewers and potentially have taken the story concept into new and interesting directions, without ever leaving behind the ideals upon which it had been built. The most obvious example would have been stories taking place outside of Hazzard (perhaps,even,elsewhere in the world; thus attracting a global viewing public). Instead, the orders were to produce more of the same; on the basis that whatever it was that viewers found appealing in Season Three, they would still find appealing were it to be re-told in Season Four. This led only to dissatisfaction from the viewers (many of whom felt that they were literally watching re-runs) and the writers and performers, who understandably disliked the stranglehold on creativity which had taken over. It was partly as a result of this (and as a dispute over royalties) that two members of the cast (Tom Wopat – Luke; John Schneider - Bo) left the series. Given that Bo and Luke were such a strong component of the show, Warner Brothers were in a rather un-enviable position, from which a considerable degree of creative skill was required in order to retain audience interest. Predictably ,of course, little was shown. Instead the decision was made to cast look-alike actors in similar roles in the hope that the audience wouldn’t spot the difference. As if to punish them for such a derogatory concept, viewers departed from the show in droves and audience figures plummeted. Despite a sterling attempt to pep up the storylines with ever more spectacular automotive action, the obvious discomfort felt by the studio, cast and crew was only too apparent on the screen. Whether or not the return of Wopat and Schneider was due to action taken by the Studio or a decision by the actors themselves,their return to the series provided the initial boost to the ratings that everyone concerned had been hoping for. Their return was also an ideal opportunity to change the show’s formula in order to steer it in the sort of direction which it should have taken at the start of Season Four. Although the change wasn’t as radical as it perhaps could have been, it’s undoubtedly true to say that the resulting Season Six was the most creative and inventive of all the seven seasons and frequently exhibited an ( at times startling) sense of creativity and characterisation quite unlike anything experienced on the show thus far. If season Three is the strongest Season, then season Six is the most creative and interesting. Themes as diverse as children’s rights, parental responsibilities and terrorism as a means of extortion were all tackled;while the forumula was loosened enough to enable the Dukes to leave Hazzard County and seek a different style of adventuring elsewhere. If the series had continued in this vein, its life would probably have continued for several years, but the show’s producers felt that viewing figures had not returned to the level desired by the Studio, and as a result took the fateful (and deeply humiliating)step of agreeing to sensationalise the stories by using extravagant plot devices and (worst of all) authorise the use of toy vehicles in stunt sequences in order to make the action ever more spectacular. Univeral’s “Knight Rider” was already using such a technique and enjoying a healthy fan-base, but many Dukes of Hazzard fans took this decision as the ultimate slap in the face and showed their displeasure by avoiding the show for the Seventh and final Season. Coupled with this, the attempt by the Producers to make the storylines so extreme (by such devices as introducing a Robot Sheriff, and having an Alien on the loose in Hazzard County), and disillusionment quickly set in amongst what few fans still remained. Despite the cast’s sterling attempt to take command and write and direct the last few episodes themselves, the audience had noticeably disappeared and the decision was made to cancel the series. It is, of course, entirely possible that the series would have lasted no longer than seven seasons (perhaps less) had the format been changed after Season Three. But at least it would in all probability have ended its run with dignity, instead of the humiliation it was subjected to throughout its final Season. As it is, we are left with a TV series which (were it a graph) would show a steady climb for the first two years, a high plateau for year three, slow fall in year four, rapid plummet in year five, gradual and encouraging climb throughout year six and final (and terminal) fall for year seven. It’s fascinating (although not altogether enjoyable!) to watch the results of the Producer’s attempts to make the series enjoy greater popularity; and an interesting example of the pattern which many popular TV series exhibit (from the heights of “can do no wrong” to the depths of “desperate measures to recreate past success”). If the Producers had realised that (instead of miniature cars, creatures from Outer Space and Robot Sheriff’s) the only thing their audience really wanted to see was “just some good ‘ol boys, wouldn’t change if they could, fighting the system like a true modern day Robin Hood” and had simply provided them with just that, the show could have been a lasting success for years.